Our state’s ascent to the top of national lists for energy-efficiency, green building, and solar installations didn’t happen overnight. Over the last two decades, North Carolina elected officials and business leaders took pro-active measures to put the state in a position to be successful in the burgeoning clean energy industry. Because of policies like the Renewable Energy Investment Tax Credit (REITC), entrepreneurs were able to capitalize on new technologies and increased funding to create sustainable jobs while also contributing to a healthier North Carolina environment. 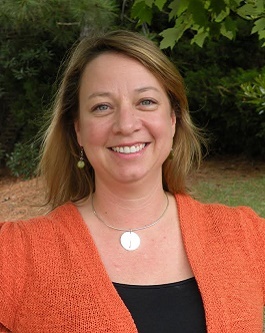 Below, Maria Kingery, co-founder of Southern Energy Management and the Immediate Past President of NCLCV’s Board of Directors, shares her personal story of why it is critical for state leaders to continue supporting and expanding clean energy investments. Months before the opening day of the 2016 legislative session, the names of those legislators planning to retire or pursue other interests started to trickle out. As their time in office draws to a close, I surmise that many of them are wondering what their legacy will be in North Carolina’s history. For all the legislators searching for a way to leave their positive mark on our state, I have a recommendation: make North Carolina a state that thrives on clean, renewable energy by supporting (not dismantling) our state’s Renewable Energy Portfolio Standards (REPS) and finding new opportunities for clean energy investments. Many of those leaving the NC General Assembly this session have been some of the strongest supporters of our state’s clean, renewable energy sector, including Senators Tom Apodaca and Stan Bingham. If they were to unite behind an effort to restore successful energy policies like the Renewable Energy Investment Tax Credit (REITC), they could leave North Carolina a cleaner, healthier, and more prosperous state than they found it. When my husband, Bob, and I started Southern Energy Management in 2001, NC was far from becoming the clean energy leader it is today. We believed in NC’s potential to lead the world in clean energy innovation, and we wanted to be part of that! Bob and I wanted our legacy to be a business that saved people money, protected our natural heritage, and made our state more sustainable. We have created that company and dozens of great jobs, too. As a member of the clean, renewable energy sector, I have seen the positive effects of clean energy investments in North Carolina firsthand. The economic impacts of policies like REPS and (the now eliminated) REITC are more than just statistical. It’s about real people and real jobs – jobs that people are proud to do. Our company employs 65 clean energy professionals who last year helped customers eliminate millions of pounds of the carbon emissions that poison the air we breathe and the water we drink. They’re proud of that, and they’re ready to do more. Our company is just one small part. We’ve seen more than 4,300 jobs created in the solar industry alone. Once you add in other clean energy areas, including geothermal and wind energy, we’re talking close to 10,000 North Carolinians employed in a booming market. Many of these jobs are in rural and economically-depressed counties that other sectors of our economy have left behind. However, the gutting of clean energy policies leaves many of us wondering how much longer we can operate in a state that appears to view renewable energy as a foe, not a friend. In its 2015 Clean Energy Census, the NC Sustainable Energy Association (NCSEA) highlights the more than 3,100 clean energy jobs that were created last year alone. It’s hard to dispute those numbers, and it’s even more difficult to argue when you know the people represented in these reports. They work hard to provide for their families; they help keep energy costs low; and they produce that energy in a sustainable way. That is their legacy. International, national, and local business owners know these jobs come from investments made possible by policies like the REITC and REPS. They added their voices to the debate last year when commonsense clean energy policies were being considered. Some of the biggest names in tech – Facebook, Google, Apple – came out in support of clean energy policies as forward-thinking best practices and major reasons they chose to bring their business to North Carolina. As a mother, I am committed to doing what I can to leave this world better than I found it for my son and future generations. As a business owner, I am committed to innovating and collaborating my way to a prosperous clean energy future. As a citizen, I am committed to supporting smart, forward-thinking policymakers who share my priorities and take their stewardship responsibilities seriously – and leave a legacy rooted in pride for North Carolina and all those who call it home. As legislators think about how they would like to remembered after this 2016 session, I hope they want to employ more of our citizens while also making them healthier, leave our natural heritage cleaner, and protect what matters. Supporting and expanding policies that grow our state’s clean, renewable energy sector is the best way for them to leave North Carolina better than they found it. Maria Kingery co-founded Southern Energy Management (www.southern-energy.com) with her husband Bob in 2001 with the goal of improving the way people make and use energy. 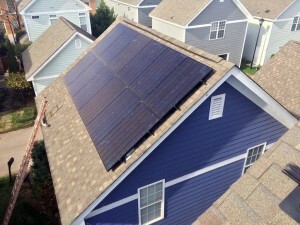 To date the firm has installed hundreds of solar systems and worked with over 300 homebuilders and developers across the Southeast, and verified over 20,000 homes to be energy efficient through the Home Energy Rating System (HERS). Maria is deeply committed to sustainable business practices, she believes that businesses have the power and responsibility to drive positive change, which is why Southern Energy Management became a certified B Corporation in 2009. She is a frequent speaker on energy and sustainable business topics, and is actively engaged with a number of organizations dedicated to bolstering the sustainable business community. 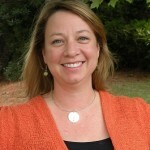 She has served as as Board President for the Raleigh Durham chapter of Entrepreneur’s Organization and the NC League of Conservation Voters, and Chair of the NC Sustainable Energy Association. She also serves as a board member for Green Builder Coalition, an organization that advocates for more sustainable building practices nationally and Amicus Solar Cooperative, a collective of 35 of the top independent solar companies in the US. Maria continues to be recognized for her conscientious leadership that has been critical to the growth and success of clean energy in North Carolina and beyond. This past year she was highlighted as a speaker at the EESI Energy Efficiency Briefing in Washington, D.C. along with receiving a 2014 Energy Leadership Award from the Charlotte Business Journal. Maria remains actively engaged with her alma mater, North Carolina State University, serving as an Advisory Board Member for the Poole College of Management’s Business Sustainability Collaborative and the College of Engineering’s NC Clean Tech Center. She and her husband live with their son in Raleigh, NC and when they’re not working, the family enjoys traveling, camping and dreaming up new businesses to pursue in the future.